As the Obama administration creates dozens of new .gov domains that are divorced from the operations of specific government agencies with physical addresses, designated personnel, and plans for sustainability, it can be useful to think about .gov domains that are no longer maintained, despite similar fanfare at their launch. For example, Vice President Al Gore once hailed the future value of the geographical resources for citizens at DigitalEarth.gov, which in the age of Google Earth have long ago been supplanted. 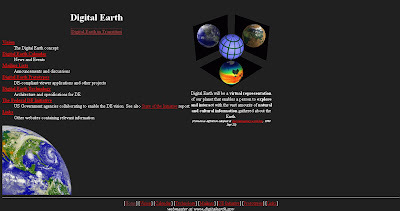 Nonetheless, those in the mood for e-government nostalgia can check out Gore's 1998 speech about the initiative, and the evolution of the site from 2000 to 2006 on the Wayback Machine at the Internet Archive.